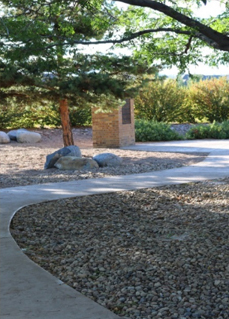 In the summer of 2016, King of Glory Lutheran Church completed the first phase of its Columbarium and Memorial Garden. Phase 1 consists of the walkway, patio, and first columbarium wall. That wall contains 30 niches. Each niche has the capacity to hold two urns. As the remaining niches are purchased, those funds will enable the construction of the next phase, which enables the next when sold — thus ensuring the construction, maintenance, and preservation well into the future. As niches are sold, those funds are used to build subsequent niche walls with the capacity of the current garden reaching eight walls of 30 niches each. There are plans for additional landscaping to provide a permanent area of peace and beauty with a view of the foothills. 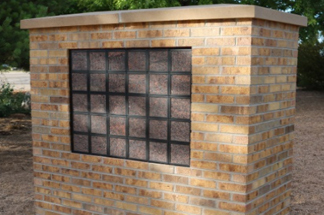 A future memorial wall will contain small plaques in memory of loved ones other than those inurned in the columbarium walls, resting peacefully in the garden of our local church in Loveland.